Hi everyone and welcome to Books Between – a podcast for teachers, parents, librarians, and anyone who wants to connect kids between 8-12 to books they’ll love. I’m your host, Corrina Allen – a teacher in Central New York, a mom of two tween girls, and currently – all about the new Miles Morales Spiderman movie. It’s the lockscreen on my phone, my girls and I have the soundtrack set to shuffle in the car….and I already have plans to go see it a second time. Into the Spiderverse is the most innovative and fresh and exciting movie I’ve seen in years. It’s some next-level stuff. Just – go see it!! And see it on the BIG screen! This is episode #67 and today we are celebrating some of the best middle grade graphic novels published in 2018. On our last episode, I listed my top 25 middle grade novels of the year and I’ll include a link to that if you missed that episode. I couldn’t put it down. Meaning – it was immersive, it has flow, it kept me turning the pages. I can’t forget it. Meaning – it had some extra special sparkle. An unforgettable character, an intriguing setting, a ground-breaking format, or a powerfully poignant message. I think kids would like it. There are books out there marketed to middle grade readers (sometimes those big award winners) that adults love but kids don’t seem to latch onto as much. So I also try to be mindful that kids books are for kids. Not for me. I am just the conduit to getting books into their hands and helping them discover what they like. Okay – let’s jump in! This full-color graphic novel is about a 7th grade girl named Dany. She has just started middle school and is pretty lonely. Her friends are in different classes now and have new in-jokes and stories that she doesn’t get anymore. So she’s feeling socially vulnerable when her eccentric (and loaded) great-aunt passes away and she ends up with the woman’s sketchbook. A magical sketchbook that will turn your drawing into real-life. So when Dany draws the head of her favorite anime character (uh yeah… JUST the head) and a super popular girl to be her friend, there are (as you can imagine!) some unintended consequences. This book is FUNNY but you won’t catch half the stuff unless you read the background texts – like the store names: “Hot Topic” is “Cool Subject” and the indredients list on the food have some interesting things listed on them. This book is like a mix of Shannon Hale’s Real Friends with a touch of Suee and the Shadow with a little sprinkle of Amulet. If you have readers about ages 10 and up who like graphic novels about friendships and would be up for something with a supernatural twist, then this would be a great recommendation. And… I see Gudsnuk has a sequel in store as well! This graphic novel started as a webcomic and is a great option if you are looking for something for younger middle grade readers who’d enjoy a sweet, gentle story. And it looks like lots of sequels are on their way! Mr. Wolf’s Class is about the first day of 4th grade – for brand new teacher Mr. Wolf and his students. By the way, Mr. Wolf is a wolf and the students are… rabbits and frogs and pigs and… well, just suspend your disbelief over the whole predator/prey thing! The book includes a cool preview of each student the night before school starts and then the day unfolds with short slice-of-life stories as we get to know each of the students and their teacher. A strength of this book is that the author clearly KNOWS what an actual classroom community is all about – the interactions of personalities. It feels really authentic in that way. And uh… I can definitely relate to being late to pick my kids because I was distracted by a donut in the break room! You might be familiar with Thummler’s brilliant artwork from last year’s graphic novel adaptation of Anne of Green Gables. And if you haven’t yet gotten to that gem, bump it up on your TBR pile! This is her first solo graphic novel and I have a feeling we have a lot more in store from her! It’s the story of 13 year-old Marjorie who has been thrust into the responsibilities of running her family’s laundromat and taking care of her younger brother after her mother dies and her father has fallen into a deep depression. She is just barely hanging on and resisting the awful Mr. Saubertuck who wants to run them out of business and turn their building into a spa. But then… enter Wendell. He’s a young ghost – young meaning new and young meaning died when he was young who winds up being pulled out of the afterlife world and into Marjorie’s life. He’s looking for.. meaning. And after a rocky start with Marjorie, does end up finding it. For me, the strength and charm of this book is really about the outstanding illustrations – the gorgeous pastel palette and the nuances of the wordless panels. And based on how this book is flying through my classroom, it clearly also has that all-important kid-appeal. The author of The Knights of the Lunch Table series and the Misadventures of Salem Hyde has really taken things to the next level with this incredible and hilarious new world he’s created. This book is about a young boy named Edison who is afraid of the dark. When his mom has to go out of town, Edison and his little sister, Tesla, go to stay with their Uncle Earl. Uncle Earl is an exterminator and he reluctantly takes the kids (and their hamster!) on a late-night “emergency” job where the two kids (and the hamster!) wind up going through a portal into a shadowy other-worldly place where Edison has to confront his fears and lots of weird and cool creatures! This is one of those few books that has kids laughing out loud while they read it. It’s sort of like a mix between HiLo and Amulet. So if you have kids who love those two series, and want something similar, introduce them to Edison Beaker Creature Seeker. I loved this graphic novel for a lot of reasons but one of them was that it features a friendship between a girl and boy that doesn’t ever fall into that trope of “well, maybe things are changing because you two really just have crush on each other!” Nope! It’s real, platonic – and has rocky parts – but it’s not a stepping stone to a love interest. And – thank you Hope Larson! What it IS about is that one defining summer is a young teen’s life when you start to realize that your childhood is something behind you that you’re looking back on and you are entering a new era with new interests. Where music – and finding people that like the same music as you do – takes on heightened importance in your life. At least, for me it was like that. Maybe for other kids it’s sports or art or theatre. But you start to find your people. And not just be freinds with the people who are in your class or happen to live next door. This graphic novel is about 13 year-old Bina whose best-friend and neighbor, Austin, is off to soccer camp this summer. So she ends up.. Binge-watching Netflix until her mom cuts her off. (Relateable!) Also – it’s a little thing but I like the pale orangey-peach tones of the book, which one reviewer described as orange creamsicle. I really, really loved her two earlier Berrybrook Middle School stories – Awkward and Brave, but this one just might be my favorite. This one takes a step away from the intrigues of the art club and the school newspaper and focused on Jorge Ruiz, a big kid, a pretty-popular jock who nobody really messes with, who seems to have it all together. Until he realizes that he’s got a massive crush on Jazmine and his world is suddenly tilted. This graphic novel really captures those quick relationship changes in middle school and that dynamic between texts and social media and how that influences and complicates face-to-face interactions. Sometimes novels totally leave out modern technology. I mean, half the time the problem in the book could be solved with a quick Google search or you know – maybe talking with the person that you’re having an issue with! But Chmakova knows that technology might solve some problems but ushers in a whole host of other ones. Crush is another one of those graphic novels that is getting passed from kid to kid to kid in my classroom with a big enough waiting list I ordered a second copy. And – a bonus – kids don’t have to read the three books in the series in order. They each definitely can stand alone. This graphic novel is loosely based on the author’s real-life experiences and her Russian-American background and that makes for a unique twist on a familiar setting for some kids – summer camp! 9-year old Vera is a Russian immigrant and we learn at the beginning of the novel, she doesn’t doesn’t exactly fit in with the popular crowd. Or really any crowd at all. Her family is poor and their traditions and food are just enough “culturally off” to make her feel awkward among the girls she invites to a birthday sleepover that goes bad…. And oh man… how I felt for poor Vera that night! That’s some real-life cringe-worthy stuff though. Vera desperately wants to fit in and finally convinces her mother to send her and her brother to a Russian summer camp sponsored by their Orthodox church where they will learn the Russian language and religion along with the typical summer camp things – like learning why you shouldn’t feed the wildlife and finding a comfortable place to poop! Brosgol’s illustrations are outstanding with a foresty green color palette. And this book about the poor choices one can make in the quest for friendship along with that added layer of feeling like you don’t really belong enough in any culture makes this graphic novel feel like a blend of Shannon Hale’s Real Friends and Kelly Yang’s Front Desk. This would be a great recommendation for kids in about grades 4 or 5 and up. Oh how this book made me smile!! It’s set in a 19th century-ish Paris where 16 year-old Prince Sebastian has a huge secret he is keeping from his parents – from everyone except for his trusted butler. He loves getting dressed up in fancy gowns and makeup and wigs. Eventually he discovers a lowly dressmaker, Frances, who has shown she is willing to break societal norms – and secretly hires her to help him transform into a different, more glamorous person. But things go awry when Sebastian’s parents try to arrange his marriage and his alter-ego (and her designer) become the talk of the town. It’s like Project Runway meets Versailles with a twist of Cinderella. And I really, really want Disney to make this into a movie! We need more books that go beyond the traditional gender norms so kids can both see themselves and also so that kids can see others not like them at the center of important and positive and fun stories. I just happened to pick up this graphic novel right after I finished The Prince & the Dressmaker, and I loved the parallels between it’s main character, Sebastian, and the first character we meet here – The Sorceress! The first section is told completely through wordless panels as we witness two siblings playing with a kiddie pool, a chair, and a bunch of cardboard boxes and how their imagination has transformed that into magic and adventure. A girl peeking over the fence at them starts laughing and at first it breaks the spell and ends the game. But then she gets drawn into their world in her own unique way. And the story takes off from there – with each neighborhood kid bringing in their own personalities and quirks and their own imaginative spin on adventure. There are knights and robots and banshees and beasts. And entreupreneurs. There are conflicts and battles. And quieter moments of understanding. The stories stack and intertwine and build and build to create an amazing collection of backyard adventures! And just as the kid’s adventures are collaborative – so is this book! Chad Sell is the illustrator but each section was crafted along with a different writer – Jay Fuller, David Demeo, Katie Schenkel, Manuel Betancourt, Molly Muldoon, Vid Alliger, Cloud Jacobs, Michael Cole, and Barbara Perez Marquez. And somehow, those diverse authors and illustrators have captured that magical feeling of childhood where there’s boundless inspiration and freedom and when it’s good – acceptance and transformation of flaws into strengths and positive energy. It’s hard to describe the special magic of this book. But it gave me the same feeling as watching the new Spiderman movie I mentioned at the top of the show. A feeling of witnessing some of the best that collaboration has to offer – it’s some next-level stuff! Well – you’ve heard from me and now I want to hear from you! What graphic novels from the past year did you and the kids in your life love? Which ones are really making an impact among your students? And which ones are you all looking forward to in 2019? We’ll be back to our every-other Monday schedule starting January 14th and make sure you check out the next episode which will be all about the most anticipated middle grade books of the upcoming year. Hi everyone! This is Books Between – a podcast for teachers, parents, librarians, and anyone who wants to connect kids between 8-12 to books they’ll love. I’m your host, Corrina Allen – a 5th grade teacher, a mom of two girls, and enjoying my extra reading time over the holiday break and the chance to relax. This is episode #66 and today we are celebrating some of the best middle grade books published in 2018. This year, I read 59 middle grade books with 41 of those released in 2018. Before I start – a quick caveat. Selecting ONLY 25 titles was almost impossible. I enjoyed just about every book I read this year, and I know each one will find it’s reader. So how to choose the top twenty-five? I have two criteria – the writing is immersive (a book I couldn’t put down) and the story has that something special – unique character, an intriguing plot twist, or a thought-provoking theme (a book I can’t forget). And again this year, I decided to separate out the graphic novels so be on the lookout for another best of podcast soon featuring just the middle grade graphic novels. Posted is this story about Ophelia Delphinium Fidgets – one of the few remaining fairies entrusted with the job of Granter – a fairy who ventures into the dangerous human world to grant a wish. Ophelia’s increasingly difficult quest to grant a little girl her wish of a purple bike will keep you turning the pages. And her reluctant friendship with the slobbery dog Sam – along with some other hilarious touches like Ophelia’s special song – will make this novel one you won’t forget. This book – better than any I’ve read – captures the heat and the swelter of a scorching-hot drought-ridden summer. Our protagonist, Della, is feeling the weight of that and also the burdon of her mother’s re-emerging schizophrenia. But this novel is also laced with the sweetness of friendship and watermelon and hope and a touch of maybe magical honey. This dual narrative novel is about Lauren and Sierra. The two girls end up living next to each other and becoming friends when Lauren’s neighbors become Sierra’s foster parents. As Lauren starts to become more aware of her priviledge, she comes up with a – shall we say “ill-advised” Robin Hood scheme that quickly starts to spiral out of control. Watching Lauren and Sierra get deeper and deeper and deeper into that pit and wondering how on earth they were going to dig themselves out is what kept me turning those pages. And what makes this book unique and fresh was the strength of the two perspectives – Lauren’s chapters in prose and Sierra’s in verse. Believe. Give. Trust. With those three magical rules passed on to her from her grandmother, Kate tries to grapple with the changes in her life. Divorce, faltering friendship, and her grandmother’s worsening dementia. Along with the typical difficulties of a 12 year old! I loved this book for its blend of beautiful prose and realism. This middle grade coming of age novel tells the story of 8th grader Marcus Vega who ends up traveling to Puerto Rico with his mom and younger brother in search of the father who seemed to abandon them years ago. And yes, his journey is about discovering family, but it’s also about discovering his culture. This book is a beautiful homage to Puerto Rico and a story that captures the experiences of many kids with family connections that represent multiple languages and backgrounds. It reminds me a bit of the graphic novel Crush with a twist of Torrey Maldonado’s Tight. This novel was not only unforgettable but it utterly changed the way I experience walking into a musuem forever. And to me – that is the mark of an excellent book. It makes you see the extraordinary in the ordinary. Frame-up is set in a real-life place – the Beaverbrook Gallery in New Brunswick, Canada. And the art director’s son soon discovers that the paintings are…. alive. And they can travel into other paintings – which is completely fascinating when you consider that this museum includes art from different eras. And multiple paintings of the same person. What the author does in this world is spell-binding. But things start to get dicey when suddenly the art director’s son and Mona, a young girl in one of the museum’s prized paintings, find themselves desperately trying to stop both an art heist and a plot to destroy their community forever. This book was a fun mix of humor and history intermixed with realistic depictions of issues that young people are coping with – like body shaming and eating disorders and figuring out that whole friendship thing while staying true to yourself and your values. What made this book stay with me long after that last page was read was the main character, Tally, whose self-confidence and style and body positivity are inspiring. This upper middle grade coming of age story centers around friends Mila and Tai. The girls have spent the summer apart and as fall starts, it has become more and more clear that their friendship is sputtering out. And yes, part of that is typical things like finding new interests and more focus on boys, but there is this one massive secret hanging over both girls’ heads that threatens to not only destroy that friendship, but could destroy families, too.The slow, shocking reveal of what that secret really IS kept me turning the pages and what made this book stick with me so long afterward are the voices of the characters that are so fresh and unique and real! During the first chapter, I had a huge smile on my face because I was so happy to be reading a book that sounds like some of my students when they are talking to each other – and don’t think any adult is within earshot. Chase has this incredible knack for voice, and I cannot wait to see what other middle grade books she has coming our way! Johnson has expertly woven together multiple storylines across two different eras that are beautifully fused together in the final chapters. The main character, modern-day Candice, discovers a decades old mystery that takes her and the quiet bookworm boy across the street on a quest for a long-lost treasure. But to figure out the clues, they have to delve into some long buried town history that some folks would rather keep hidden. This book is rich with details and touches on topics that are not common in middle grade – like the end of segregation and its impact on black schools and the concept of passing. It’s beautifully written and if you have older middle grade kids who loved The Westing Game and who love mysteries, this is a great book to put in their hands. Alex Gino’s second novel for middle grade readers is a sweet story about Jilly, White and hearing, who befriends a Deaf Black ASL user on a fandom website where they connect over their mutual love of a fantasy series. When Jilly’s new baby sister is born Deaf, she and her parents struggle with which expert advice to follow and everyone makes some missteps along the way. Based on reviews from those in the Deaf community, Gino does seem to get that representation right. To me this book is one to have in your classroom or library because it shows one character’s pathway through learning about incredibly important but tricky topics like white priviledge, racism, micro-agressions, and abelism. And done in a way with warmth and heart. I’ll admit – this one almost got past me! I was at school and had forgotten my book at home. And so on a whim, I picked up this book from my classroom library and promptly forgot that any other book existed and promptly fell for Stella’s sweetness and charm. Stella is a third grader, born in Mexico, but now living in Chicago with her mom and older brother. She’s struggling with being in a different class than her best friend, Jenny, and dealing with the accompanying worries that Jenny might be forming a closer relationship with another girl. Stella is also figuring out where she fits in with her outgoing family since she is more quiet and is working through some speech difficulties. Three things stand out to me about this book – its utter realness, the excellent illustrations sprinkled throughout, and also the fact that this novel intersperses Spanish in the most organic and well-executed way that I’ve ever encountered before. They pop up frequently and naturally, and yet I feel confident that most non-Spanish speaking readers can fairly easily figure out what those words mean from the context. I LOVE books that immerse me in a subculture – like Victoria Jamieson’s Roller Girl, and the Irish dancing in Kate Messner’s The Seventh Wish. I was fascinated to learn about wrestling moves and the tournament process in this novel. And of course it doesn’t hurt that the two main characters – Mikayla (known as Mickey) and Lev are written so vividly and honestly. Told in alternating point of view chapters, Mickey and Lev are each dealing with their own middle school difficulties of faltering friendships and dicey family dynamics. When they both wind up wrestling for the same elite traveling team, Lev needs to cope with having a new wreslting partner (a girl), and Mickey has to deal with a wrestling culture that isn’t exactly keen to accept her. How these two characters grow and how their stories intertwine have stayed on my mind – months later. Another incredible story from a favorite author of so many of my students. Good Dog is told from the point of view of Brodie – a dog who we meet just after he’s entered the great beyond after his death. And as our sweet, noble Brodie figures out the rules of this new place, and makes some friends, he remembers more of his past life on Earth. And remembers the danger that his boy, Aidan, is still in. And Brodie has to decide whether to move on to that ultimate Forever or if saving his boy from that threat is worth the awful price he’ll have to pay to even attempt helping him. I love this book for so many reasons – but mostly for how it quietly but powerfully connects with Gemeinhardt’s previous novel, The Honest Truth. I don’t want to say more, but…. if you have a kid who has read and loved that book – give them Good Dog right after. This is another novel that snuck up on me and then wouldn’t let go of my heart. For the last couple of years, my 5th graders and I have read Home of the Brave together as the first read aloud. This year I decided to have their book clubs centered around refugee and immigrant stories – with a focus on #ownvoices novels. And Escape from Aleppo was the only book club choice I hadn’t yet read – and so I read along with the kids in that club and followed their reading schedule and joined their discussions. And I completely agree with their assessment – this book is fabulous. It’s about 14-year-old Nadia, who we meet as her family is evacuating their home in Syria in an attempt to flee to Turkey. But in the carnage, Nadia ends up separated from her family and has to make her way through the city of Aleppo in a dangerous effort to reunite with them and to figure out who in the war-torn city she should trust to help her. What stands out to me most is the searing depiction of modern-day war and how much my students saw themselves in Nadia’s flashbacks to pre-Arab Spring Aleppo. Scenes were everything seems stable and Nadia is all about the latest episode of her favorite reality TV singing show and what color she should paint her nails. If you are looking for a companion book to Alan Gratz’s Refugee, this is an excellent choice. And one that will stay with you for a long, long time. This is the much-awaited prequel to the much-loved and much-awarded, novel-in-verse The Crossover. This book is all about Josh & Jordan’s father – Chuck “Da Man” Bell. But – this is an origin story. So when we first meet him, he is just Charlie – an 80’s kid reeling from a family tragedy and trying to find his way forward and trying to find his smile again. When home becomes tense, he is involuntarily shipped off to his grandparent’s house for the summer where he starts to find that path forward. I loved this book for it’s awesome illustratations and all those great 80s references. Esteban, Tiago, Holly, Amari, Ashton, Haley – these six kids are brought to an abandoned art room each Friday, left on their own, and allowed to simply talk. And eventually – their stories unfold. Stories of deportation, of harassment, of parent death and incarceration. Of hope and of despair. And by the end of that year, they have formed a bond and a vow to harbor each other. It’s Jacqueline Woodson so you know it’s gorgeously written, but it also speaks to a great need for empathy in our country right now. And I can attest that it’s not just one of those “important” books that kids don’t really like. It was one of the top requested book club selections and currently has a huge waiting list in my room, so I can vouch for it’s kid appeal. Okay – this book creeped me the heck out! And it was glorious! This paranormal horror story is about a young girl named Ollie whose mom tragically died last year, and understandably – Ollie is withdrawn and rather raw. One fall day, Ollie disovers this strange book that tells the legend of two local brothers who come under the influence of The Smiling Man – with horrific results. When Ollie takes a field trip to a nearby farm, she and her friends Coco and Brian end up in an other-wordly battle to survive the lure of those mysterious forces. This book is so immersive and atmospheric and has one brilliant twist at the end that has me shuddering just thinking about it! Oh – and if you’re the type of person that isn’t at all freaked out by scarecrows – read this book and that will change. There has been sooo much love for this book this year – and if you haven’t yet read it, I will add my voice to all the others telling you…. it’s incredible. This novel is about a young Pakistani girl whose dream is to finish her education and to become a teacher. But when her mother is struggling with depression after having her fifth baby – another girl – Amal ends up staying home to take of the household. And then, to make matters far worse, she ends up insulting a poweful man in her village and be forced into indentured servitude to work off her family’s debt to him. It was this section of the book and Amal’s complicated relationship with man’s family and other servants that was the most compelling to me. Amal Unbound was the middle grade pick for the 2018 Global Read Aloud and is worthy of a spot in any middle grade collection. As 2018 came to a close, I started scouring the social media feeds of readers whose taste I rely on to see what books from the previous year I may have missed. And by far the one that I kept bumping into… was Blended. And oh were they right to push me to read it! And…confession time – this is the first Sharon Draper book I have read! You may already know her work from Out of My Mind or Copper Sun. This novel is about an 11-year-old girl – Izzy to her mom but Isabella to her Dad. Her parents are divorced and every week Isabella has to switch – switch households, switch bedrooms, switch backpacks, switch expectations…. and sometimes feels like she has to switch identities. Her father is black and and lives a far more swanky lifestyle now and Isabella’s mother is white and their home definitely has a more casual vibe. I loved this book because I know how many students can relate to Izzy’s frustrations with parental tug-of-war and that awkwardness with people coming into their lives. But this book had so many more themes that will definitely strike a chord with kids today – racial profiling, school threats, micro-agressions, police shootings, and the myriad other things that make up children’s day-to-day experiences. Ahhh – this book! I just…. Okay – plot first. This is the story of Zoey – a seventh-grader whose primary goals in life are to keep her two young siblings quiet and out of the way of her mom’s boyfriend and his father, to scrounge up enough for them to eat, and to stay completely invisible at school. But all of those things become tricky when her teacher pushes her to join the Debate Club after school. This book is about rural poverty, the nuances of the gun debate, domestic vioience… but the way those threads play out are not at all what I had expected – and so much better. This is the novel I wish I had read as a young middle school teacher when I thought that giving an hour’s worth of homework that required colored pencils, a ruler, and internet access was a perfectly acceptable thing to do. Another stand-out debut! And every time I see another starred review or another reader gush about this book, it just makes me heart a little more happy. Front Desk is about Mia Tang whose family – recent immigrants from China – wind up running a motel under less than ideal circumstances. Mia’s expectations of life in America – juicy burgers, a pet dog, a yard, and big pool – differ A LOT from her true life, which she keeps hidden from her classmates. Her life is tough. But once she starts to harness the power of her writing, Mia starts to realize that even the big injustices in life can start to change. Front Desk was another fall favorite of my students and a perfect book club book. And the last time I checked, it was offered through Scholastic for a great price. When a sequel comes out to a book that you adored – characters who have found a home in your heart – it’s with trepidation that you crack open that cover and start a new journey with them. Oh but thank you Peter Brown because you did not disappoint and in fact…. I may love this story even more than the first. It’s hard to say anything without giving away the first book if you haven’t read it yet. (And if that’s the case – get on that!) But I will say that this sequel has more action, more human interactions, and therefore – more personal connections that kids can latch onto. And it deals with some big moral and ethical questions! It’a a brilliant story with a touch of the Iron Giant, a sprinkle of The Odyssey, and a little dash of The Good Place. This is the story of Jermone – a young black boy playing outside his home with a small toy gun. A black boy who gets shot and killed by a police officer in the first pages and whose presence haunts the rest of the pages – and whose story – along with the other boys – haunts me still. And I can see in my classroom the impact it makes on the young kids who read it. There are instantly caught by that first title page – “Dead” – and those first words – “How small I look. Laid out flat, my stomach touching the ground. My right knee bent and my brand-new Nikes stained with blood.” Jerome is the first ghost boy we meet, but later there will be Emmett Till and others who get to tell parts of their stories. This book was both completely immersive and has that quality of staying with you long after you’ve read it. And it’s a rare book that deals honestly with racism and police violence in a way that is age appropriate and clear. And so many people have said, “This is an important book.” It IS – but don’t get it just because of that – get it and read it with kids because it’s an excellent book. This is, I believe, the first sequel that Kate DiCamillo has ever written. And if this is the quality of a DiCamillo sequel then I hope she writes a TON more – because this book ripped me apart and put me back together again. And I mean that in the best possible way! This book is the follow-up to Raymie Nightingale and focuses on Raymie’s quirky friend – Louisiana Elefante. Lousiana’s grandmother wakes her up in the middle of the night, piles her into the car, and is off to face her reckoning with the curse that has hung over their family’s head. Well, they end up in a Georgia Motel run by a cranky lady – where Louisiana has to take on more than anyone her age should have to. But also learns a lot about grace and the goodness of humankind as well. Raymie Nightingale was a book I liked pretty well, but nothing compared to this. It’s like this story sat in a rock tumbler until all the extra grit fell away and this sparkling gem emerged at the end. This book was fast-paced, fresh, and had such a…. bite to it! It’s the story of 6th grader, Bryan, who loves comics, who loves drawing superheroes, and who loves his mother and a life of no drama. His dad brings enough of that into their life. Money in their family is… tight. So he worries about that and worries about being perceived as “soft” – not tough enough. But then his parents, sort of… set him up with a friend – this neighborhood kid named Mike. And at first, Bryan resists. He gets weird vibe from this kid. But then the boys bond over comics and Netflix shows and spend more and more time together. They’re tight. But that friendship turns toxic when Mike starts luring Bryan into skipping school, hopping the turnstiles in the subway…and worse. Tight is an exceptional books – raw and real. If you have kids who like Jason Reynold’s Ghost and who liked the Miles Morales Spiderman – this is the book for them! Alright – those are my top 25 middle grades books of 2018. Now – I want to hear from YOU! What were your favorite reads of the last year and which ones should I make sure to read in the year ahead? 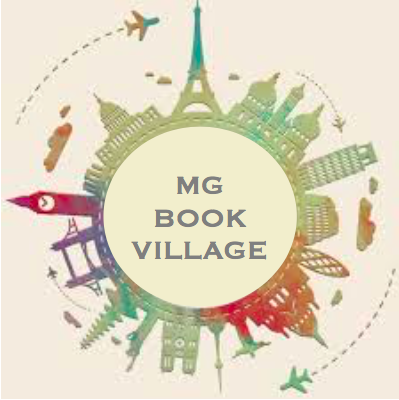 The MG at Heart Book Club’s January Pick: THE LAND OF YESTERDAY by K. A. Reynolds! THE LAND OF YESTERDAY by K. A. Reynolds! The newsletter will go out on 1/28/19, and the Twitter chat will be held on 2/5/19.